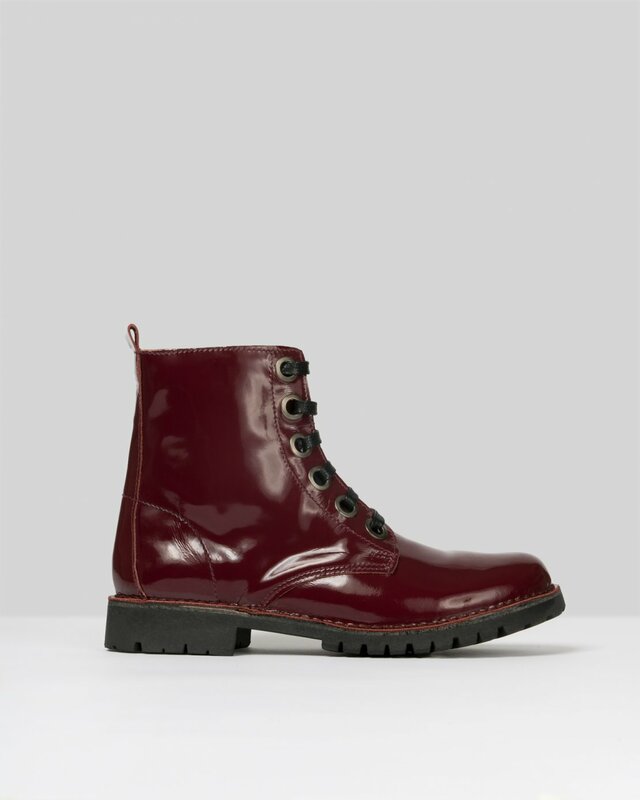 Wine leather flat ankle boots. Lace-up front. Rounded toes.